At Laura: A Creole Plantation (1805), step beyond the myths of the American South and walk in the footsteps of 4 generations of one Louisiana Creole family, both free and enslaved. Visit this historic sugar farmstead and experience what has been called the "the best history tour in the U.S."
DRIVE YOURSELF and join our next available guided tour. First-hand, intimate accounts of owners, women, children and slaves. Once purchased please make sure to have your confirmation number available on your mobile device to begin your tour. 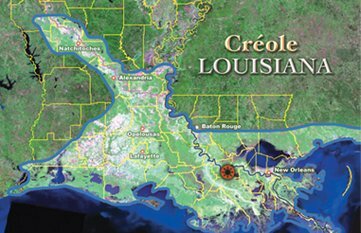 Directions are listed above from New Orleans to each plantation and then back to the city. Parking is available at both plantations. Departure Details: Customers will receive a voucher granting entry into the plantation. Plantation ticket office opens at 9:30AM and tour start at 10AM running every 40 Minutes throughout the day until the last tour departs at 4PM. Duration: The guided tour of the main house, gardens and slave quarters lasts approximately one hour and fifteen minutes. *Note that self-guided tours are prohibited. Tours are provided on a first come first serve basis. No times are required to be selected upon booking. Parking: Public parking is available at the plantation. Cancellation Policy: No refunds will be given on the voucher unless plantations are closed. Tours are available on a first serve basis. If the plantation is closed for weather, please call us at 850-424-5125 to make other arrangements. Transportation is not provided for this tour so please be sure you have transportation before booking. You must have your voucher available to show at the gate on your smartphone or device. Online tickets are non-refundable, however, tickets are valid up to 30 days from the date of purchasing the tickets. Groups: We do not take reservations for groups of fewer than 20 persons. For groups of 20 visitors or more, reservations are mandatory. See: Information for Groups. For smaller groups (10-19 persons), it is highly recommended that you call in the morning so we can offer you our best service and availability for that day. If you are less than 10 persons you do not need to call. We offer all tours on a first-come, first-serve basis.